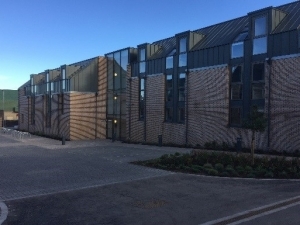 The project incorporated the redevelopment and integration of existing Wonder Years Children’s Nursery within 135-room student accommodation for Alumno Developments, on a prominent beach-side site in East Sands, St Andrews. The existing nursery and surrounding external space was poor quality and detracted from the character of the East Sands shoreline. The scheme incorporated an attractive and functional open space, along with landscaping, which protects and enhance the site’s surroundings and increase its accessibility to the general public. It also includes a new pedestrian connection to the East Sands Coastal Path.